Today we feature our first musician – Amy Clayton from ActuallyAmy – enjoy the interview! Tell us a little bit about yourself! What inspired you to become a musician? 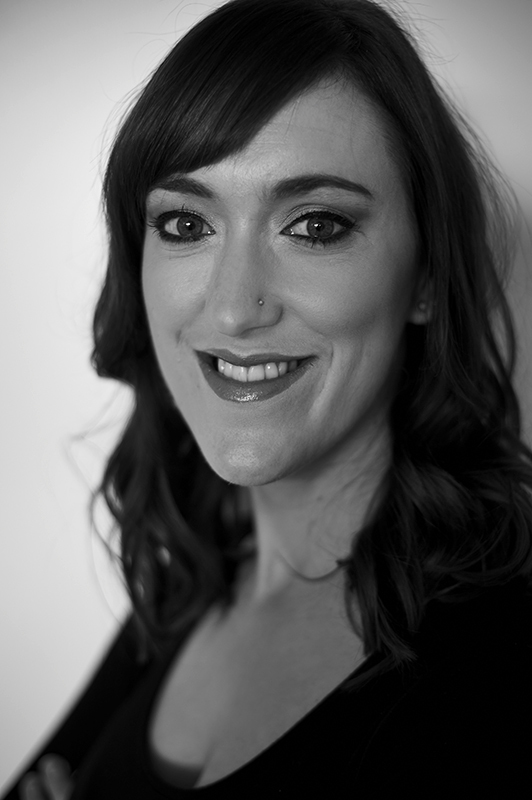 My name is Amy and I’m a freelance musician and run my company ActuallyAmy Songwriting – we specialise in workshops providing children and young people with a way to develop their creative and expressive skills through songwriting. I always loved my instrumental lessons over academic subjects in school. In secondary school I felt I didn’t really fit in as core subjects like science and maths didn’t enthuse me, music was the one subject that ignited my passion, although I did enjoy creative writing and loved the teamwork aspect of sports. In piano lessons after a couple of years my teacher encouraged me to play in National Festival competitions in duet and trio categories. I realised that playing music can be a social activity; it gave me an expressive outlet that I could share with other people (I’d always played the piano as a soloist) having a sense of community in music was an important turning point for me. In addition, my first clarinet teacher was a big inspiration to me, I looked up to her and remember how she produced such a beautiful tone so effortlessly – I wanted to be able to play like that! She encouraged me so much and helped me believe I could better myself every day. My lessons were enjoyable and challenging too. You are a clarinettist as well as a pianist. Was learning the second instrument easier? Yes it was, I began learning the piano first; it gave me a strong grounding in harmony and is technically more challenging than a solo instrument, so this set me in good stead for the clarinet. Outside of teaching, how do you improve your own craft? I feel that encouragement sits at the core of what I do. It’s impossible to draw any kind of enthusiasm from a young person (or adult!) to do anything musically unless they are in a safe, relaxed environment where they feel comfortable and able to take creative risks. I guess it comes quite naturally to me to encourage people around me, be it friends or even someone I’ve just met – it builds trust and that’s a powerful connection. I love to find out what puts fire in peoples hearts, because that’s where they’re truly shining when they know. Do you have a unique teaching approach? With a young person for instance, I wholeheartedly believe that the key to getting the most from a person musically is getting down to the same level, where they can relate to you as an equal. I strive to become childlike in my curiosity towards their learning, frequently asking why and being open to their ideas. Through a combination of encouragement and gentle challenge they can then see their progress, which excites them to want to do more. Also, taking the time to reflect on efforts and explorations is something very powerful… If we did this from the get go our young people would be more likely to grow up to be more grounded, authentic adults. What would be your advice for people who want to become full time musicians? If you have the dream to craft a living in the music industry, do not limit yourself! I fully believe that if you want to do something… Give your whole self to your dream… You absolutely can’t be half hearted in something that important. Dream big and make small steps every day towards where you want to be, use your curiosity by speaking to people who are doing what you want to do and where you want to be. The best piece of advice I was ever given, regardless if it is paid or not, was to take every opportunity that comes your way in the first five years of your career. “It’s not what you know, it’s who you know” or, in better terms, “it’s not who you know, it’s who knows you”. The more people you meet and create lasting connections with, the steadier the growth of your business will be. Knowing lots of people in your industry means you will have a higher rate of referrals and recommendations. This applies to whether you are a performer, composer, facilitating workshops or something else. When you first start, it will be necessary to supplement your income with teaching as this brings in a steady income and will set you up for whatever area you wish to go into – or to build a full time teaching schedule. What impact do you believe music has on the people you work with? From my experience, learning music gave me an outlet, somewhere I could be myself and stop trying to fit in to the social pressures of how I was expected to perform in school. For the young people I work with in my songwriting workshops, it’s massive. They are able to creatively express themselves in a way that they may not have had the confidence to do before, they have a platform to be able to express their emotions. Young people become more tenacious, team orientated and able to think creatively. Often there is a hang up making sure they give the ‘right’ answer, but music is subjective, a place open to artistic expression. The most beautiful shift I have noticed is in a child’s thought process when they realise that their contributions are completely valid, no matter how big or small. To learn more about Amy please visit Actuallyamy.co.uk. Today we featured Mark who runs Tesol Zone, a website for teachers who are interested to teach English as a foreign/second language (EFL/ESL). TesolZone.com helps potential (or current) EFL/ESL teachers learn more about teaching English abroad. Firstly, the website provides job seekers with information on the employment situation around the world, the type of certification they need, and how to go about finding a job. Secondly, Tesol Zone provides guidance on how to teach, and effective ESL activities for the classroom. I’m from the North of England, but have lived in various parts of Europe and Asia for the past twenty years or more. I’ve taught ELT, trained teachers, written a series of ELT textbooks, and I set up, and then managed, a chain of English schools in Northern Taiwan. I ran them for almost ten years. 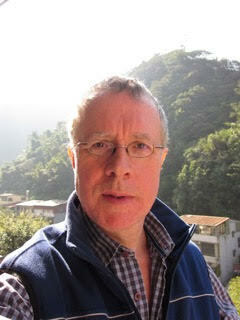 I now run Tesol Zone, write ELT books, and teach at a university in the countryside in Northern Taiwan. I’ve worked in most areas of TESOL and wanted to help new teachers make better choices, and to help improve the quality of teaching in the field. I was also interested in running an online business, without the need to rent physical premises, recruit and manage a workforce – although I do sometimes hire assistants and other freelance help . Not yet. But it does provide me with an income equivalent to a part-time job – which is helpful. Actually, my main focus for the past few years has been on writing a series of novels; however, I’m now working consistently on the website and have seen a recent increase in traffic and income. My goal is for Tesol Zone to support me by the end of 2017. I use SBI (Site Build It) a company that provides a lot of support (not only hosting, templates, and technical support) but also tools and training for running an online business. Their training is almost like taking a master’s degree in online business – very practical. Have you ever started a new business and then given up for some reason? Yes. I set up a copywriting business in London. I quickly found that although I could write, I didn’t have the necessary experience or contacts in the field. It was hard, and I was working alone. I managed to get some work, but I found it difficult to get enough business and soon gave up. My second business was more successful. I set up a language school in Northern Taiwan with partners. I was much more organised this time, and the language school soon attracted students – some of whom travelled over 10km to attend. We expanded to three schools, and employed about 20 people. The schools did well and are still operating, but I sold my share to free myself to focus on other things. Not as important as hard work and intelligent planning, but it helps, of course. I wanted a short name and a dot com. Teaching English has many acronyms: TEFL, TESL, TESOL and more. TESOL was a newer term which as a keyword had a higher demand and lower supply than most others. Also it incorporates the meaning of TEFL and TESL. I work by myself, but I employ freelancers when I need to. For example, I sometimes hire designers or assistants to help with research or more mundane tasks. I don’t always, but I have list of tasks to achieve each day, and I try to focus on those. Having a quiet office at home helps, but I also work on my commute up and down the mountain. I’ve turned off all distracting sounds on my computer, such as the one for incoming email (this simple act has helped me avoid the feeling to check incoming mail). I plan a series of 8 short ebooks, each focussing on specific areas of TESOL. I plan to release one every four months for the next two and a half years. I also plan to increase visitor interaction on the site by introducing more opportunities for visitors to submit their own content and comments on certain aspects of teaching abroad. Outside of business what do you enjoy doing? I write novels. I also like exercise: running and kung fu. Anyone who wants to badly enough could. You would have to be prepared to be uncomfortable at times, and to stay focussed. If giving up TV in order to work on your new business after you come home from your day job seems unreasonable, then probably not. However, many more people than actually do, could start one. But not everybody is suited to working independently. What is the best strategy to utilize Twitter for a business? 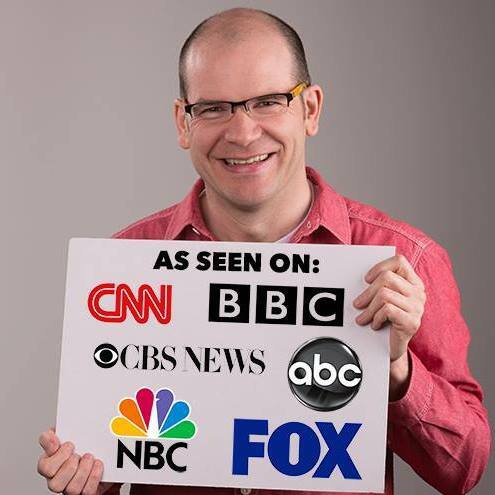 This is an ongoing experiment for me; I’ve mastered SEO more than social media. But, Twitter has been useful for connecting with related businesses, and I’ve found advertisers there. I’ve recently registered the hashtag #tesol, and am experimenting with this. Registering a hashtag does not confer ownership, but my hope is that it will encourage the search engines to look more favourably on my site. Twitter has also been useful for brainstorming ideas for articles and areas of interest related to my website. I’ve only recently become actively involved on Linkedin. I’m still exploring the website, but it looks like a good way to connect with other professionals, and directly with businesses. As with Twitter, it’s been useful for generating ideas. I’ve become involved in groups related to my area and have met many other ELT professionals in this way. For more information please visit TesolZone.com. Today’s interviewee is Angelika Davey who teaches German. 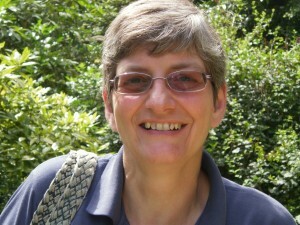 She lives in the UK and has contributed to LearnWithOliver.com, a language site I’m running. I’ve asked her if she would like to be part of this interview series and she agreed as you can see! My name is Angelika Davey. I was born and brought up in Germany but have lived in the UK since 1982. What kind of business do you run? When did you start it? 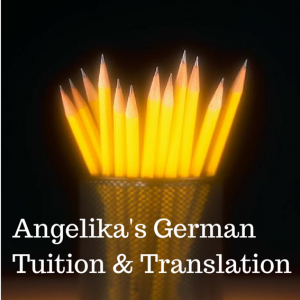 I started Angelika’s German Tuition & Translation in 2006, which means in July this year I will have been self-employed for 10 years teaching German and helping clients with their translation needs. The feedback! It feels great when students, no matter how old they are, tell me how much they enjoyed their lessons or when clients are happy with their translations. Also, I am learning so much myself. I never saw myself as a writer but started a blog five years ago and from that moved to writing books. Seeing that people are buying my books is a great feeling. Since last year I also offer online courses on Udemy, which was another learning curve for me as I have never thought of making videos of my lessons. There is still so much to learn and do and it is a great feeling when I have achieved something new! How long is a piece of string? This is a very difficult question to answer. I love my work and I often don’t know when work finishes and leisure starts as my work is also my hobby. For example, I love walking and I always have my phone with me to take pictures, but often they are taken with blog posts or lessons in mind. I might wind down at the end of the day with reading things on Facebook and find useful posts for German learners which I they pass on. I watch some videos on YouTube and find useful information for teaching or learning German. Of course, it can also be the other way round: I’m supposed to work on marketing, translating, lesson planning … and I find a great YouTube video that needs watching or a Facebook meme that needs sharing. One of the great things about my work is that no two days are the same. Some days I spend nearly all day teaching, other days I don’t teach at all and spend the day with lesson planning, translating, writing or making new online courses. Some days I teach early in the mornings (although I try to avoid that), on other days I teach in the evening. The variety is wonderful, but it is probably also another reason why it is difficult for me to say how much time I spend running my business. It does now. Before I started I saved up enough money to keep me going while I got my first clients. I was also very lucky to get work as a supply teacher for an agency, gradually decreasing the days I was available until about three years ago when I stopped completely. My business generates enough to pay all the bills and some extra. I might never earn as much as I did when I taught full-time but I am having a lot more fun doing the things I love doing. I rely heavily on my computer and the internet. I have several students that I teach via Skype and as I offer those online courses I need to be able to check if anybody has asked any questions that need answering. I also still work with pen and paper, especially when I teach face-to-face as I don’t always have access to the internet. My most important tool is my smartphone, especially my google calendar. I have a lots of students who don’t have weekly lessons, so every day is different. When I don’t teach I work on new lessons or translate and can easily get carried away. If google didn’t warn me that I need to go and teach I’d be late a lot of times! The best part is the enjoyment I get when I see that my students enjoy themselves or, even more importantly, when they have their ‘lightbulb’ moment, when something they struggled with has become clear or when they tell me about their holidays in Germany and how they were able to have conversations in German. The worst part is not having paid holidays and having to decide when to go and how many lessons need to be cancelled. Oh, and I’m not too fond of tax returns either. But I quickly found a site where self-employed people met, Ecademy. It doesn’t exist anymore but I have met many people who have small businesses and have helped me initially. Since then I have also met quite a few of them ‘for real’. Nowadays I am a member in a few business groups on Facebook, LinkedIn and Google+, although I have to say that the Facebook groups would always be my first port of call. When I started my business I had one client and no money. I could not afford a website designer who would design a site for me. Luckily, I was able to use the services of Business Link (which was closed in 2012) and learned how to set up a very simple website and only had to pay for the domain name. After a few years that site was far too basic for what I wanted and I transferred it to another server. When that wasn’t enough I made the move to wordpress.org. Although I have learned a lot over the years about setting up and maintaining a website, the last one had grown so much I didn’t dare transferring it on my own. Barbara Saul of Blogmistress.com did a beautiful job transferring everything for me. I still do everything on my own on my website, but Babs keeps it all ticking over and comes to the rescue when I mess things up … which, unfortunately, I still do on occasions. If you are curious to learn more about Angelika please go to her website.